Comments: Broadleaf deciduous tree native to India and China in Asia. 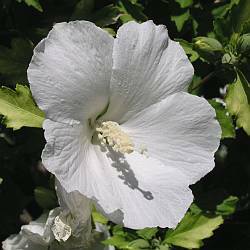 Dark green leaves are lobed with serrated edges, pure white round flowers are 3 to 4 inches in diameter, bark is light gray. 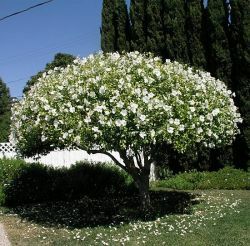 Specimen tree is 8 to 10 foot tall and broad spreading.